When I was little, the house we lived in was situated next to a grove of trees. Well kept with a floor of pine needles, the little forest had a variety of trees—all relatively short in stature. In fact, you might call it an orchard since it featured an apple tree, cherry trees and a raspberry bush. And right along our sidewalk, with dozens of branches hanging overhead, a mulberry tree. 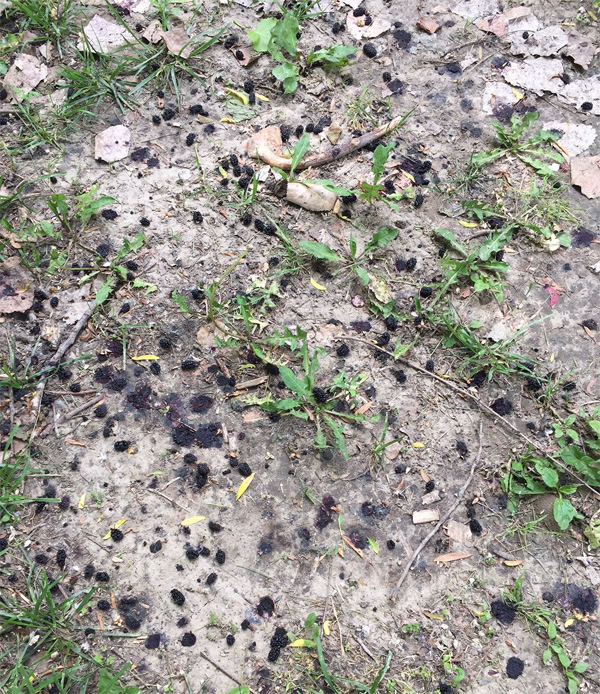 Every spring into summer, the mulberries fell like rain. Fun for a kid on a hot afternoon. Scrumptious to be sure. Fun for the birds too, who plopped their colorful calling cards onto the sidewalk amidst the purples and blue stains. I’ve always wanted to write a story about those trees, and the headache it caused for my mom when I would come in with a stained shirt, shorts or shoe. Fast forward to a few weeks back when, walking along the Missouri River, I found myself once more under a canopy of dropping mulberries, dodging the little landmines on the trail even while I enjoyed the shade against the afternoon heat. Ahead of me, a young woman with a Great Dane was pulling mightily on his leash, scolding him for scarfing up the free fruit. And just like that, the following story came together. So I was again surprised by how stories can spring into life. But another surprise waited when I sat down to the keyboard. As the first few sentences came out, the voice seemed familiar. Sensing, er…”Poe-tential,” I listened to the voice and ended up with one of the few pastiche stories I’ve ever written. As you know, a pastiche is work done in a style that imitates another work, artist, or period (Thanks, Google!). If you don’t get it from the title, it won’t be hard to quickly see where “Tell Tail” got its last bit of inspiration. It was a fun one to write. I hope you have fun reading it. You can read Tell Tail by clicking here. Please drop a comment and let me know what you think. Rugged mountain peaks cloaked in snow. 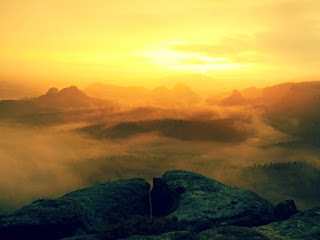 A parched desert streaked in reds and yellows. 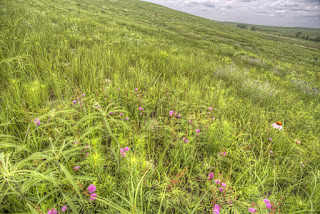 The billowing swells of a tallgrass prairie. The landscape of the West is “scene one” in nearly every western movie you’ve ever watched, or described on the first few pages of every western novel you’ve ever read. It acts as an unnamed but vital character and provides a beautiful–or punishing–backdrop to the story being told. 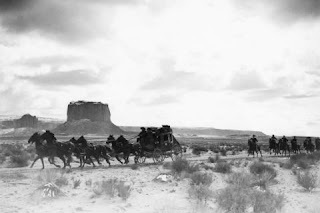 Director John Ford frequently featured Monument Valley's stark scenery, beginning with Stagecoach (1939) to Cheyenne Autumn (1965). 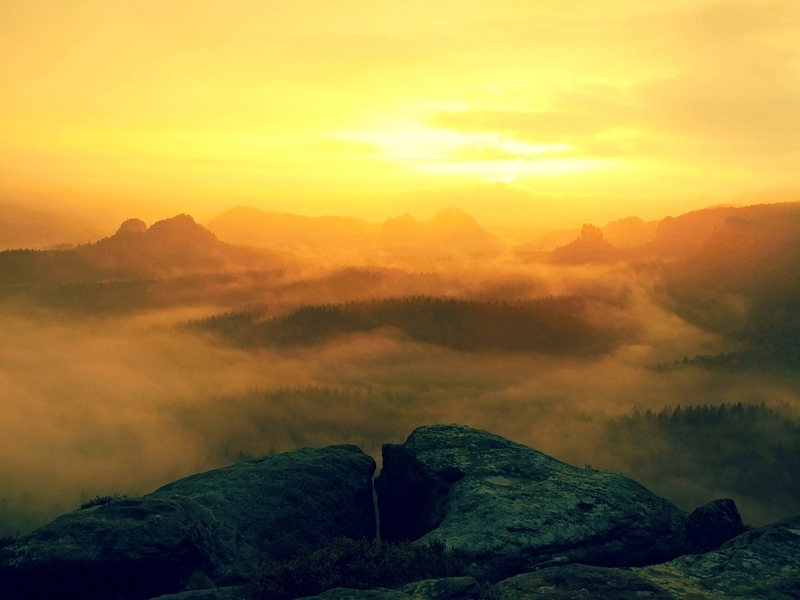 No other writing genre is as tied to the land as is western literature. What an incredible and inspiring resource! Being a peace officer is, well, not always peaceful. It is a dangerous profession. Being in the federal marshals service has its own set of attendant dangers, as one of our regular contributors knows from experience. That particular profession was especially dangerous, though, in the late 19th century. You can go to the Officers Down Memorial Page and read through a list, with some details attached, of every member of the U.S. Marshals Service to die in the line of duty since it was established in 1789. The list includes both Deputy U.S. Marshals and deputized posse members. The first to fall was Marshal Robert Forsyth, killed in Georgia in 1794 –he was shot through a door while attempting to serve papers. The most recent name on the list (as of this writing) is that of Deputy Commander Patrick Thomas Carothers, a 26-year veteran –he, too, was shot in Georgia while attempting to enter a home to serve a warrant. In all, the list contains 280 names (again, so far). 190 of those men died between 1870 and 1910. That is more than two-thirds. 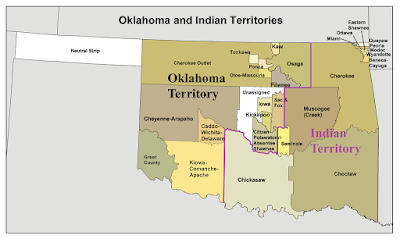 It will come as no surprise to many of our readers and contributors that one-half of those 1870-1910 deaths, 95 to be specific, occurred in the area known initially as Indian Territory, later divided into Indian Territory and Oklahoma Territory, and by the end of that era the state of Oklahoma. To do a little more math, that means that ONE-THIRD of all members of the Marshals Service to die in the line of duty did so in Oklahoma in the space of a few decades. This was due to a very unique set of circumstances surrounding Oklahoma. 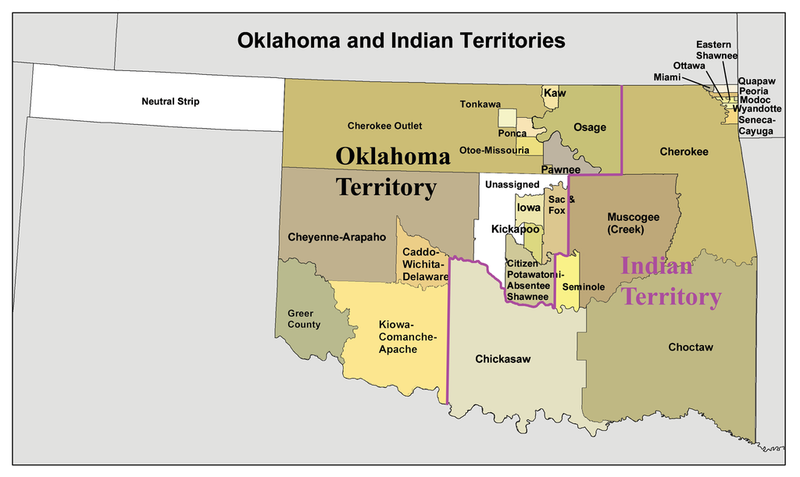 The eastern half was the home (not by choice, for many of them) of the “Five Civilized Tribes”: Cherokees, Creeks, Choctaws, Chickasaws, and Seminoles, who had been removed to Oklahoma in the 1830s (and 1840s, for the resisting Seminoles), although a minority had acquiesced and come peacefully of their own accord before the Trail of Tears. The western half of Oklahoma was, at that time, home to the so-called “wild” tribes- Comanches, Kiowas, and etc. Therefore, there were a lot of outlaws in the Nations, with a finite number of federal marshals to track them down. It’s no surprise, then, that so many marshals were killed in the attempt to do so. Look through that 280 name list, and you might be surprised how many lawmen were killed in Oklahoma after catching their man –by sleeping on the return trip to Fort Smith, and being killed with axes or big sticks or whatever the prisoners who managed to work their way loose were able to get their hands on. 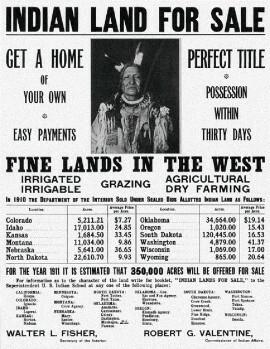 The situation got worse in the 1890s, after the Dawes Act had allowed for the allotment of most tribes’ land and the opening of parts of Oklahoma for settlement. The Five Tribes were excluded from this at first, since they were technically already “civilized”, although an addition to the law in 1898 brought them under allotment as well. Starting at the end of the 1880s and growing exponentially by the year, the Five Tribes were surrounded by more and more settlers, making the jurisdictional issue ever more pronounced as more non-Indians in the region magnified the problem. 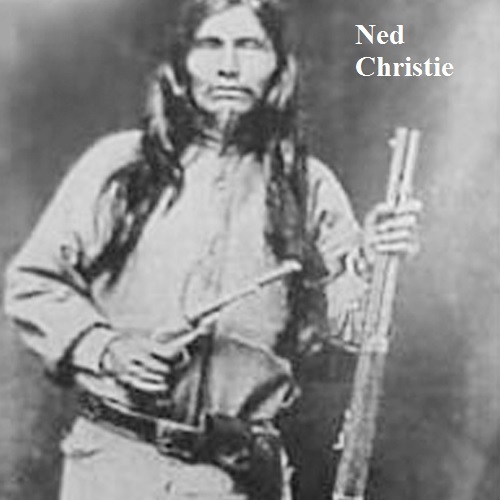 These were the days of the Doolins and the Daltons, of Cherokee Bill, of the Starrs, of the famed “Three Guardsmen” (Chris Madsen, Heck Thomas, and Bill Tilghman) leading federal posses after outlaws, and of the efforts to capture Ned Christie (and other, lesser-known Cherokees such as Bill Pigeon). So that explains the high mortality rate of officers in Oklahoma. But what about the rest of the country during that same period? Going back to that concept of mathematics, fully one-third of federal marshals ever killed in the line of duty fell from 1870-1910… outside of Oklahoma. So it was still a pretty violent time everywhere else, as well. Not all of them were murdered. 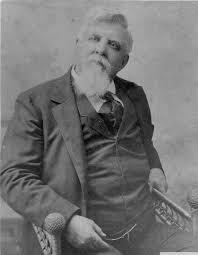 Thomas Foley was killed in Virginia in 1870 when a courtroom balcony collapsed and killed him and 61 other people. Clement McCausland died in Dakota Territory in 1872 while pursuing a fugitive, when he got lost in a blizzard. James Arnold died in 1891 while transporting a prisoner to a prison on an island off the coast of Washington (the state) –a sudden squall capsized their sailboat and he drowned. Almost all, however, were murdered. As one would expect, a large number of those deaths occurred in the American West (not counting Oklahoma). 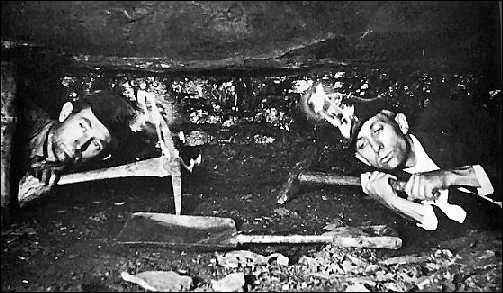 We should probably count the two marshals killed in Alaska in separate incidents during the Klondike gold rush among those. 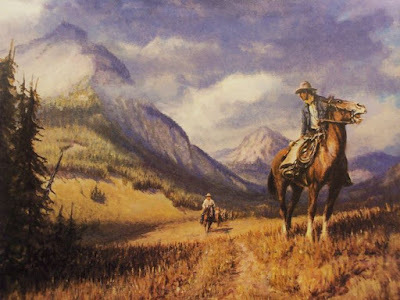 Some names on the list who died in the West might jump out at the western reader: Bob Olinger, for example, killed in Lincoln County, NM, by Billy the Kid during a jailbreak. Here’s the interesting part, though. Taking the 95 deaths in Oklahoma out of the mix, there were 30 marshals killed in the line of duty in the American West. There was a grand total of ONE killed in the North –stabbed while trying to arrest a deserter from a Russian ship in New Jersey. And there were 56 killed in the South. Actually, several marshals who died in Oklahoma were killed while raiding stills or trying to arrest bootleggers (remember Rooster Cogburn’s testimony in True Grit?) The circumstances were slightly different, though. All sales of alcohol were forbidden in Indian Territory; in the South, it was not the sale or private distilling of alcohol that was the problem, it was the fact that no taxes were being collected on it. Farmers making their own liquor was a longstanding tradition- in fact, at one time it had been more a general rural tradition than a specifically Southern Appalachian one. 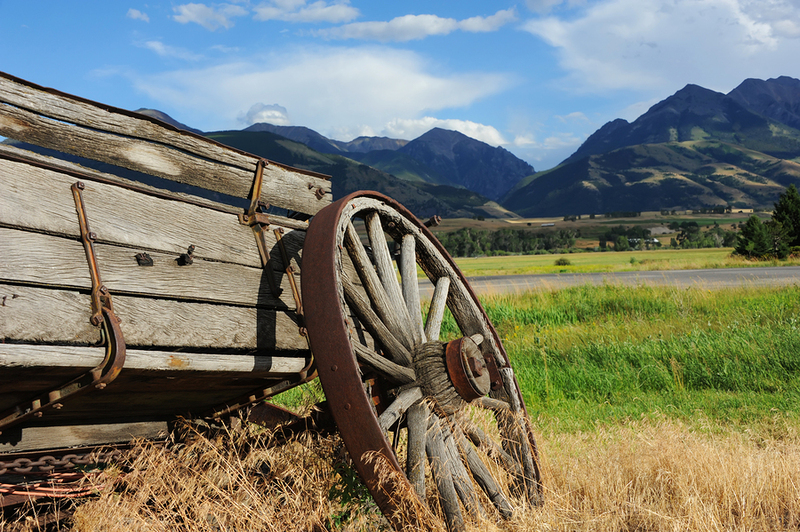 Turning your grain into alcohol made it easier to store and transport, and brought more money. 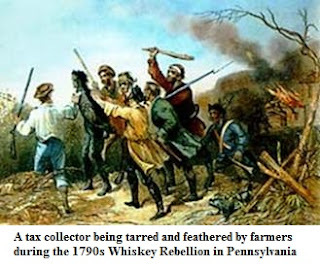 The first federal tax on a specific item was on whiskey, which led to the Whiskey Rebellion in Pennsylvania in the 1790s. That tradition had remained strong in the Mountain South. After the end of the Civil War, presidents Grant and Hayes stressed the enforcement of tax laws on whiskey as a way to pay down the war debt. 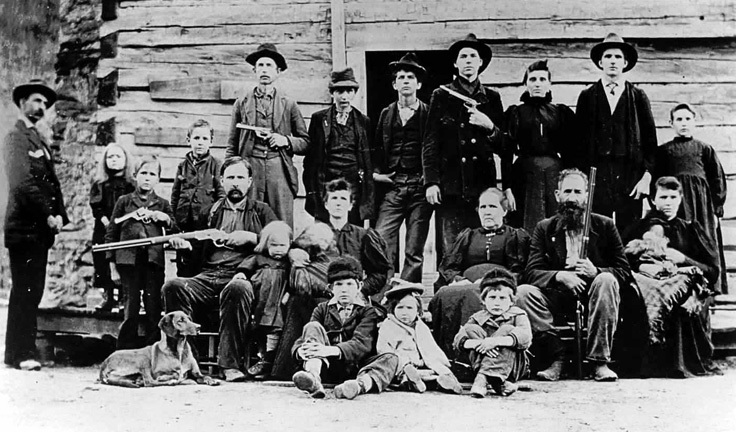 This led to what was known as the Moonshine Wars of the 1870s (and later, as well). Federal agents started sweeping through the mountains, forcing licensed still owners to pay taxes and shutting down unlicensed ones. Most of the Mountain South had been pro-Union during the war, but during and after Reconstruction there was a growth of ex-Confederate sensibility in the region, and in this case it was exacerbated by federal “outsiders” trying to control what had become a mountain tradition. 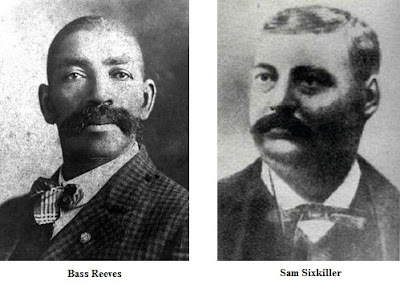 Which led to the surprising fact that –if you take Oklahoma, a unique case, out of the equation –if you were in the federal marshals service in the late 19th/early 20th century, you were statistically almost twice as likely to be shot by Southern moonshiners as by Western outlaws (in reality, of course, this would depend on where you were serving). 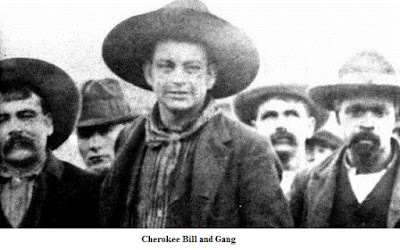 Oklahoma and the Mountain South had something else in common besides violence (and Cherokees). I’m speaking of public reaction to that violence. As I mentioned earlier, at first the Five Civilized Tribes were exempt from allotment. To clarify, allotment, made government policy by the Dawes Act of 1887, meant that control over Native lands would be taken away from tribal governments and instead each Indian family would be given (allotted) a small farm. For most tribes, this resulted in a lot of land being left over, previously under control of the tribe. 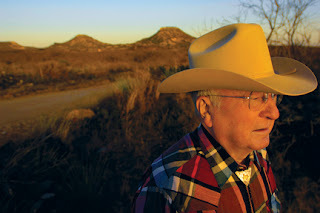 This “leftover” public land, controlled by the federal government, was opened to settlement. As more settlers poured into Oklahoma, many of them eyed the prime lands still controlled by the Five Tribes. Those settlers, and the governments of neighboring states, immediately started proclaiming how unfair it was that all this land was under the control of “wild, uncivilized savages.” But wait, one might say, the Five Tribes were exempt from the new law because they were “civilized.” Many of them operated modern businesses and spoke perfect English. 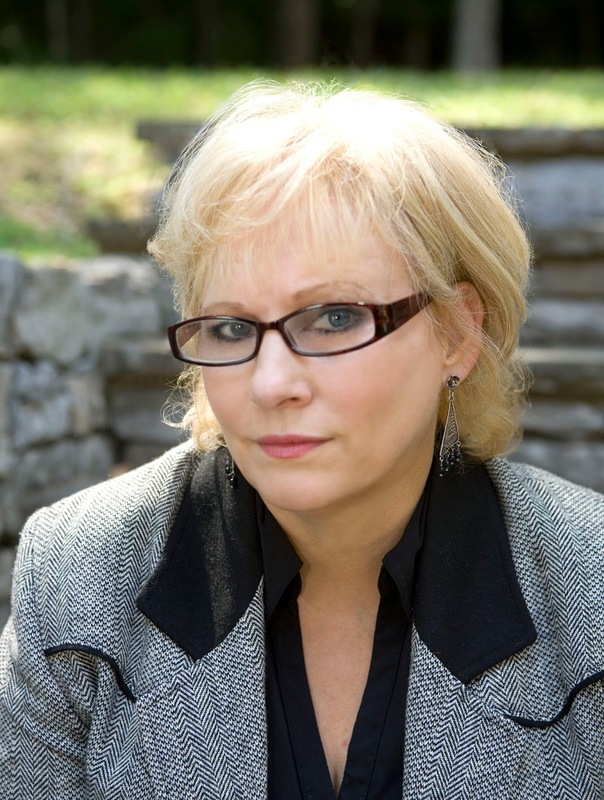 Well, many Americans started saying, if they’re so doggone civilized…. Why is it so wild there in the Nations? Why is there so much violence and lawlessness? And it was impossible to argue that there was no violence, because there definitely was. The true reason for it, of course, was the complicated legal situation in which the Five Tribes had been placed by the federal government, but no one (aside from the Indians) was saying that. Rather, the violence was being used as a justification for the government to come in and take over… and to redistribute the Indians’ resources to white Americans. Meanwhile, in the Mountain South, northern investors and their southern partners started expanding industry after the Civil War. New railroads were built –the antebellum Southern railroad system had existed primarily to link cotton plantations to harbor cities so as to ship their product overseas –and that led to new businesses. In particular, lumber and coal mining started to boom post-Civil War. Before the war, most of the coal mining had taken place in northern Appalachia, in western Pennsylvania and eastern Ohio. 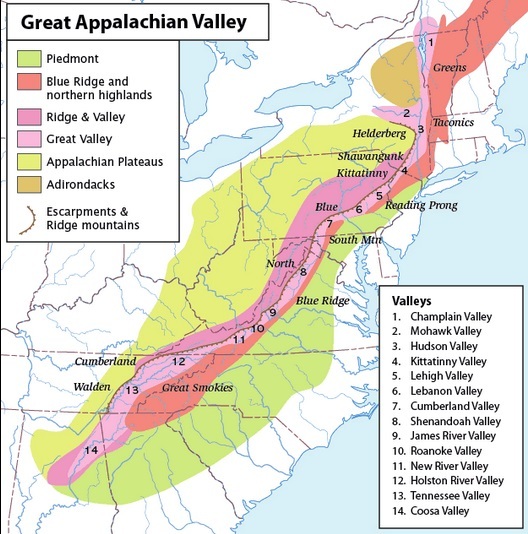 Once new railroads extended into the southern mountains, coal mining became a viable operation. 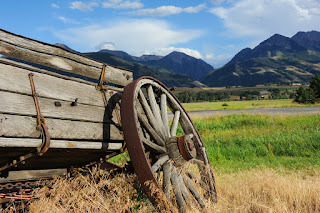 However, a lot of southern mountain folk were hesitant –or downright unwilling –to sell or lease their land, or even the mineral and timber rights to it, to these new businesses. They were, in effect, “holding up progress” due to a strong affinity for their own land and traditions. At the end of Reconstruction (which was officially over after the inauguration of Rutherford B. Hayes in 1877) there was a clarion call among progressives in the former Confederate states for a “New South” –one that was open to industry and business (other than just cotton), and was modernized. 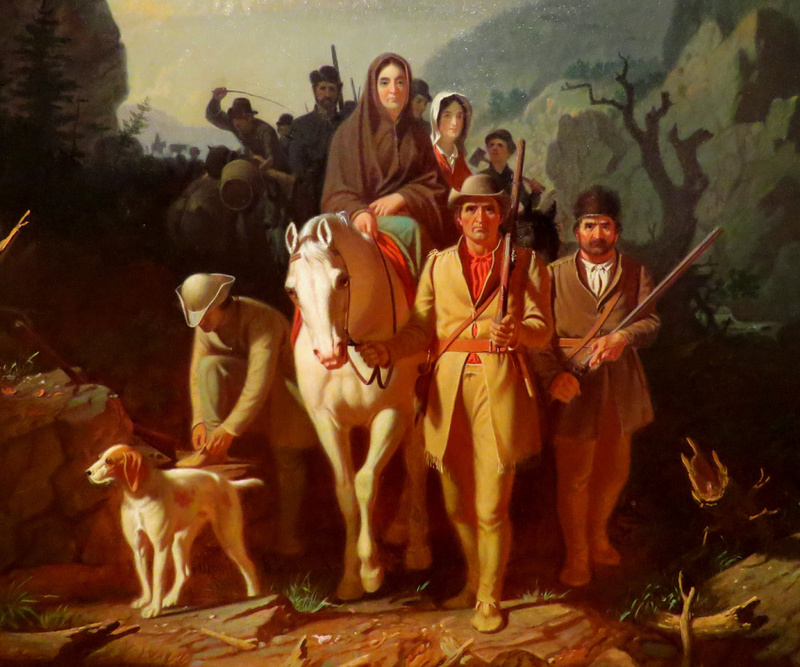 Southern mountaineers –who had always been presented as the ultimate frontier heroes (Daniel Boone, Davy Crockett, even Andrew Jackson if you think about it) –were standing in the way of that, and the economic benefits (for some) that would come with it. 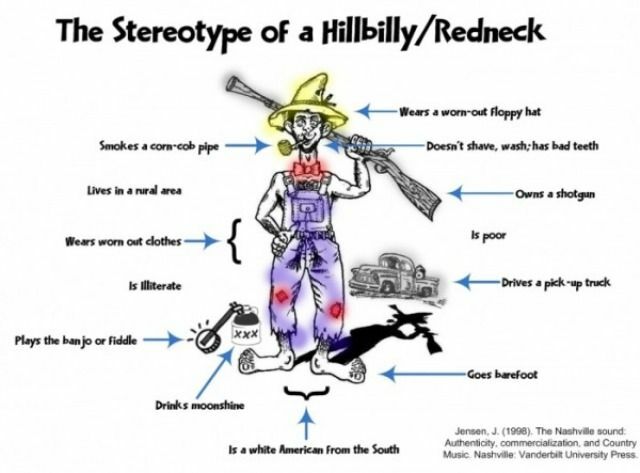 Therefore, just like newspapers in Oklahoma, Arkansas, and Missouri were doing with the Five Tribes, papers started focusing heavily on the violence of the Moonshine Wars as evidence that Southern mountain folk were backward, wild, and uncivilized. 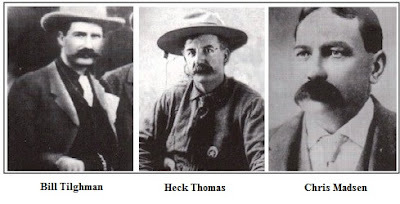 They especially latched onto the Hatfield and McCoy feud on the Kentucky-West Virginia border, with papers all around the country taking it up. 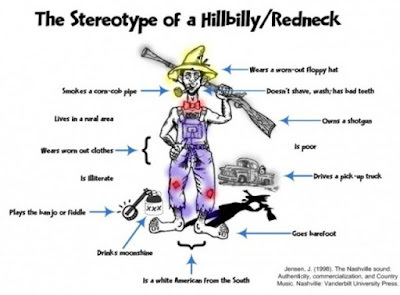 In the 1880s, therefore, the national image of southern mountain folk changed from that of rugged, self-sufficient frontier heroes to what we now call the “hillbilly stereotype” –violent, ignorant, wild, savage, lazy, dishonest, and incompetent. That is a far cry from Davy Crockett. 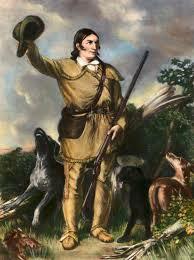 Ned Christie, the “Cherokee outlaw”, and moonshiners in Southern Appalachia were both resisting what they considered to be a foreign government, and the act of their resistance reinforced the idea that they needed to be more firmly controlled (I think it could be strongly argued that the Cherokees had a lot more justification than moonshiners who didn’t want to pay taxes –my point is not the justification, but the mindset.) 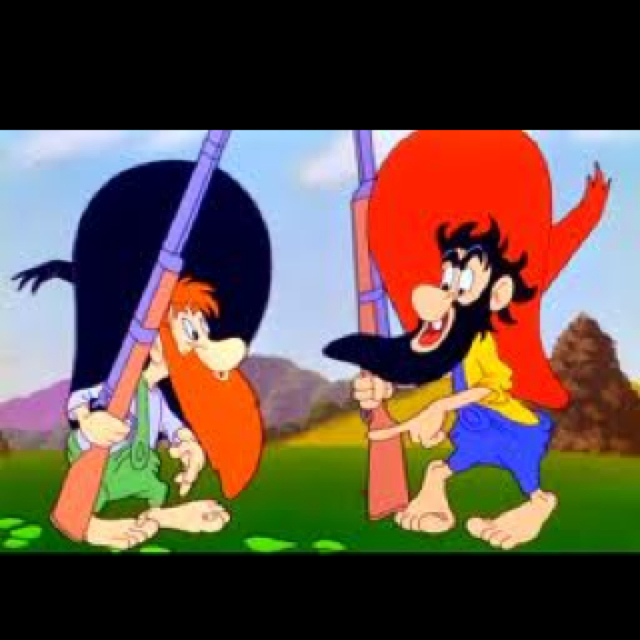 In both cases, this led to control of their natural resources passing out of their own hands. The federal marshals, of course, were just doing their jobs… a hard and thankless job, made more dangerous by the circumstances of their times.